Llwyn yr Helm Touring & Camping Park01341 450254work Touring & Camping ParkIf you want to get away from the “hustle and bustle” of daily life to spend time in the tranquil countryside of this picturesque part of Wales, Llwyn yr Helm is the place to stay. 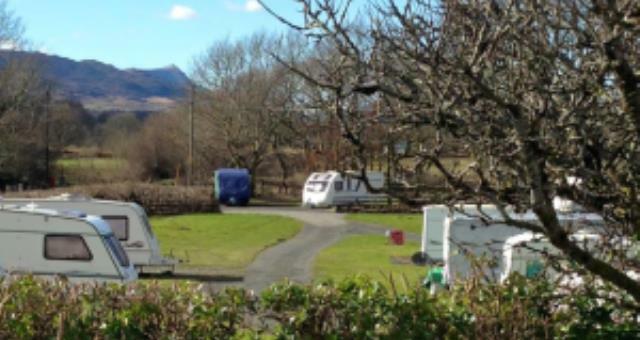 The park is set amongst beautiful farmland, mountains, valleys and woodlands in the Snowdonia National Park in Mid Wales and is a small family run caravan park on a working hill farm in the picturesque village of Brithdir and is close to Coed y Brenin Mountain Bike Centre. 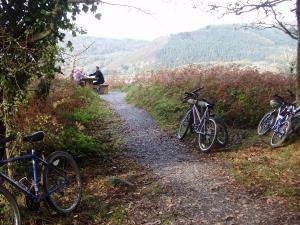 Llwyn yr Helm is located 4 miles from Dolgellau and 10 miles from the sea. The site includes electric hook-ups, toilets, showers, family room, washing-up sinks with hot water and laundry facilities. Semi-lighting throughout park. Public telephone 1/4 mile. Mountain Bike Centre & White Water Rafting nearby. Children welcome from any age.